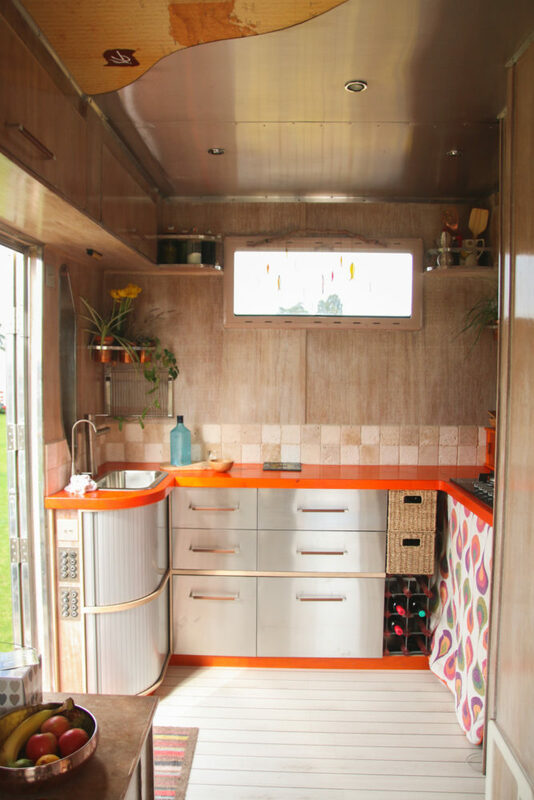 I’d love a little vintage campervan, but for us, that just wouldn’t work! We want something that we can stand up in and walk around, but other people want something a lot smaller. It’s all down to what you want and what you want to use it for! What Size Van do you Want? The main thing to think about is what you want it for. 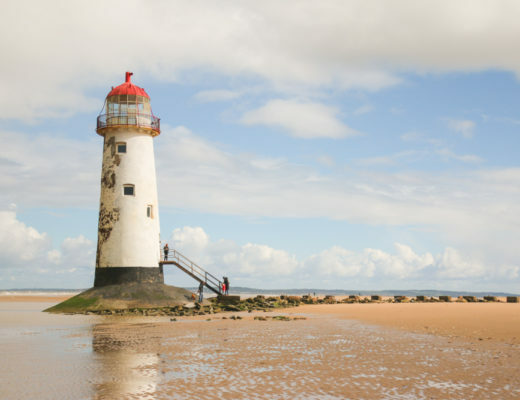 This can help you decide then on whether you want a large van, a medium van, or a small van. Nice and compact, you don’t really have to get used to driving them as they’re not much bigger than a car, so you don’t have that added worry. 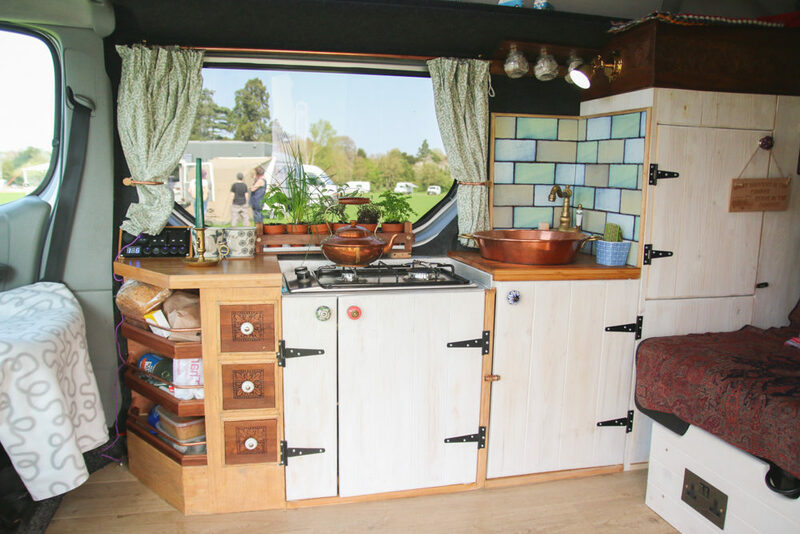 As they’re pretty small you can usually fit in a bedroom area, with a small kitchen with a 2 ring hob which as I’ve seen in a lot of conversions, are usually at the rear of the van extending outside, so you kind of need good weather to be able to cook. This is why these vans are perfect for short weekend summer trips. These types of vans are also great if you want to head into towns as you don’t usually have to worry about parking restrictions due to the height of the van. You can park in most carparks and fit in a bay just like a car. 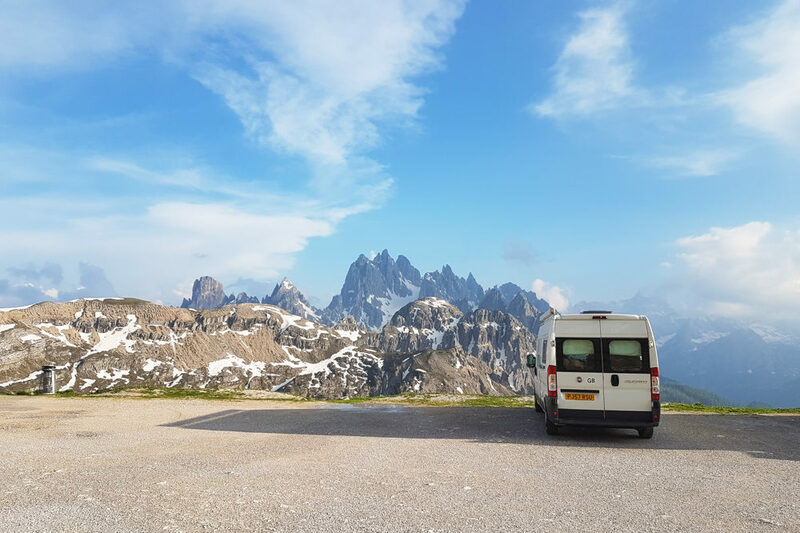 If you just want to use it on a few short weekend trips during the summer, then a small van may be best for you. 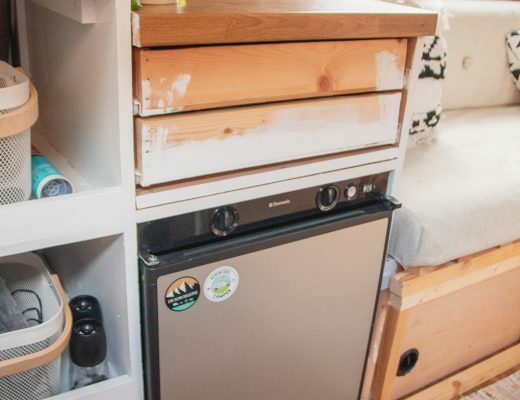 Probably the most popular vans to convert, medium vans can fit pretty much everything you need inside the van. 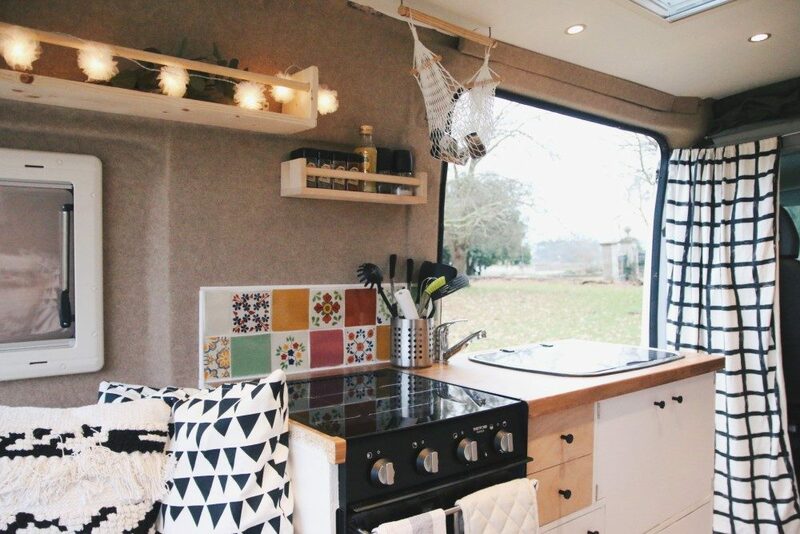 And unlike smaller vans where the kitchen is usually at the back outside, they tend to have rock ‘n’ roll beds, with a row of cabinets alongside the bed, and a small kitchen area at the front. 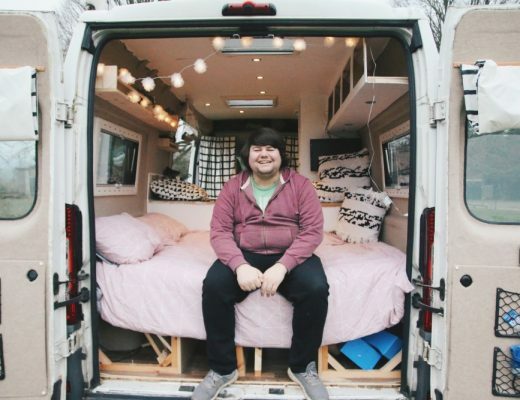 Obviously, if you’re doing a self build, you can do the placement wherever you want and have a static bed, but this is the most common layout for a medium sized van. Medium vans are perfect for longer trips, where you can still move around inside the van. 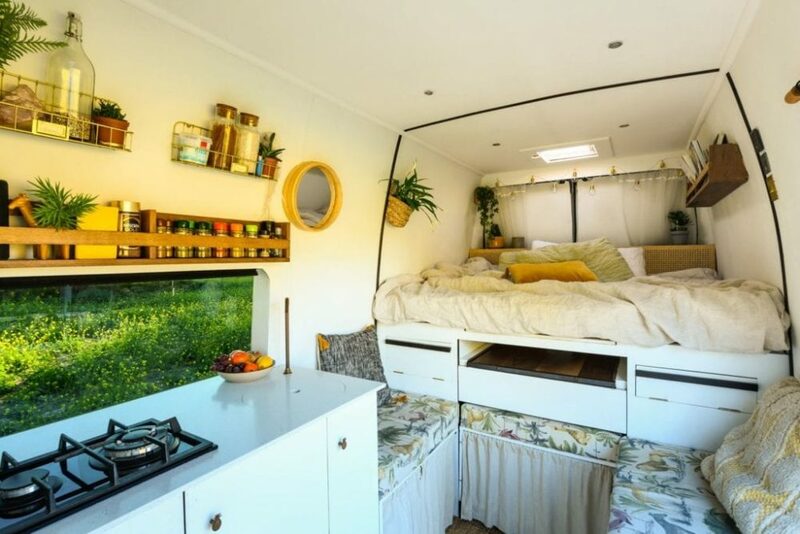 If you want that little bit more height, then you can consider installing a pop-top roof which could allow you to stand up inside, and also provide a sleeping area for anyone else on the trip – kids, friends etc. Most medium sized vans can still fit easily inside parking bays and can get under most parking height barriers, so this is something to think about again if you want to head into towns. Large van conversions are getting more and more popular. There’s so much you can do with the space inside. You can have a bedroom, kitchen, seating area and sometimes even manage to fit in a whole wetroom in there too. They’re perfect if you want to go on longer trips, have that extra height to walk around easily and have loads of storage room. 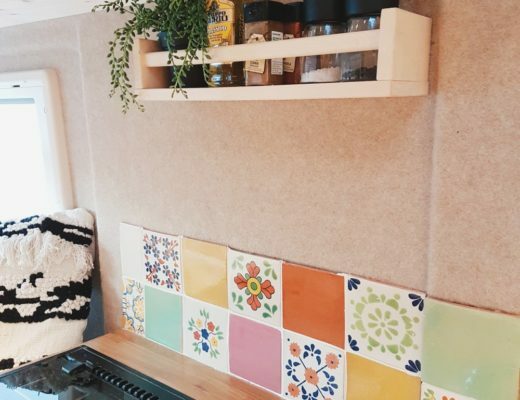 There’s so many ways you can configure the layout, whether its to have a fixed bed plus a seating area, or a caravan style bed with a larger kitchen and more room to move about. They also usually come in different heights and lenghts too, e.g. high-top, medium-top and medium wheel-base, long-wheelbase, so you can usually get the perfect size for you. They are a little harder to park in terms of squeezing into parking bays and you usually have to find a spot a little further out, and due to the height, you can’t usually fit in height barriered car parks in town centres, so a little bit of advance planning or driving around in search of side streets may be needed if you plan to head into towns. Maybe you don’t want a traditional van, and you want to go for something a bit more fun and quirky. Then this section is for you! 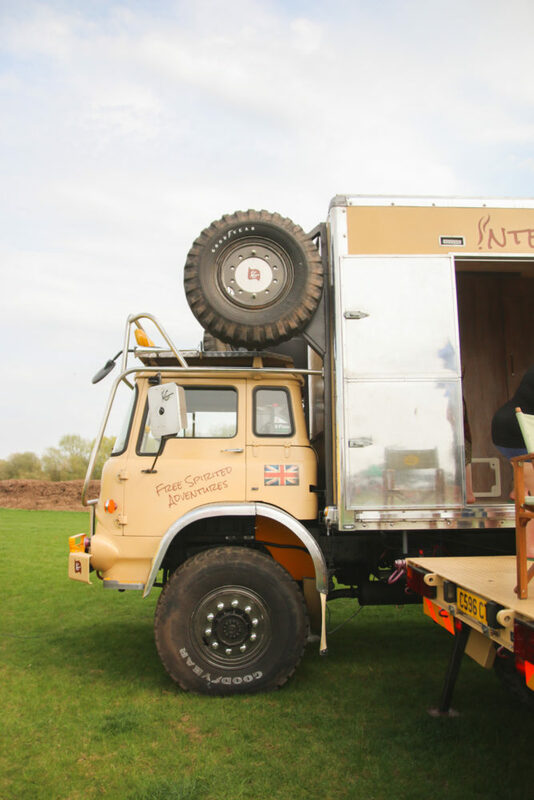 From ambulances, to school busses to horseboxes, you can convert pretty much anything into a campervan these days! I actually love the idea of converting a Luton van or an old box style ambulance, because they have straight walls haha! 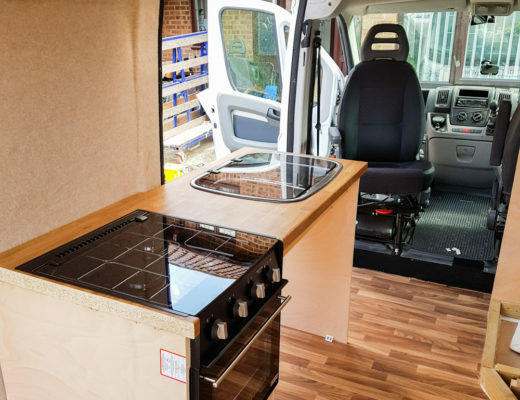 The hardest thing about our Fiat Ducato conversion is the walls because getting cabinets to mould around curved walls isn’t the easiest! But the thing to think about with these fun conversions is the access. 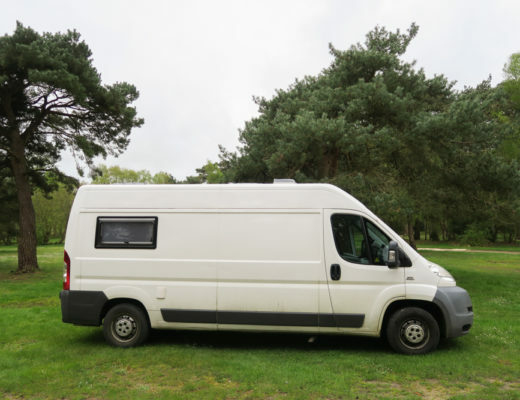 Most large vans can get pretty much anywhere, down all the country lanes to nice secluded parking spots. Luton vans and school busses are a little harder to get parked up. This is something that you’ll have to think about in terms of cost of the van. I was pretty adamant that I wanted us to have as new a van as our budget allowed. 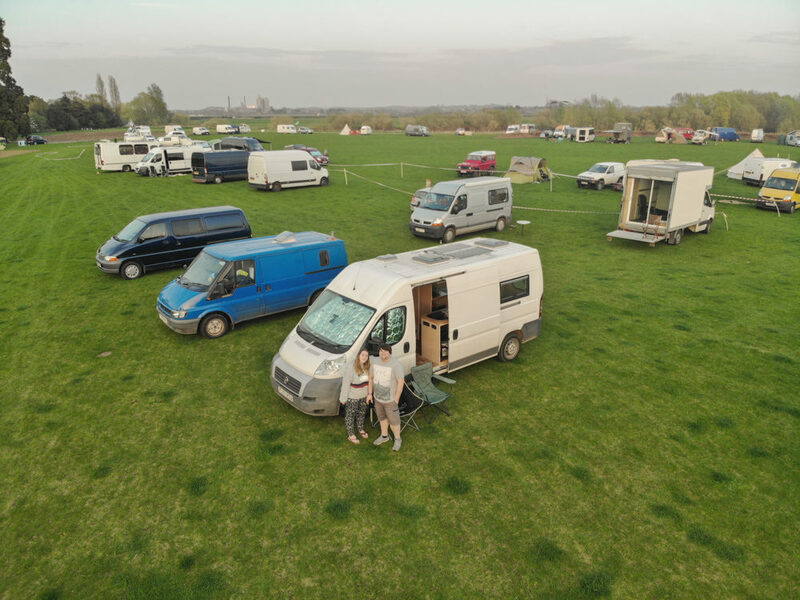 Of course, I’d have loved to have bought a brand new van, but that just wasn’t in our budget, so in the end we bought a 10 year old Fiat Ducato van for just over £3k. 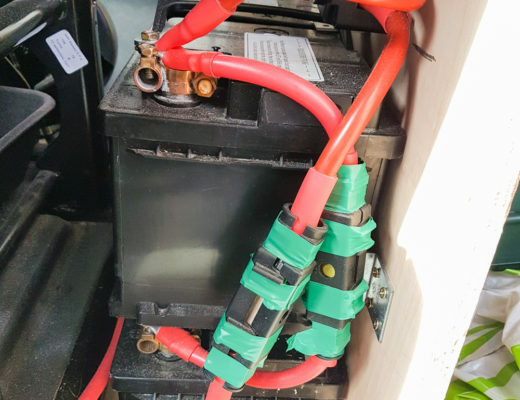 Before that we had a 13 year old Ford Transit, which turned out to be a bucket of rust on wheels, so just make sure you thoroughly check the vehicle inside and out before you buy it. Get underneath the van too! Any signs of rust and you’ll want to start looking into it a little deeper. Some vans are well known over others to rust, so bear that in mind. 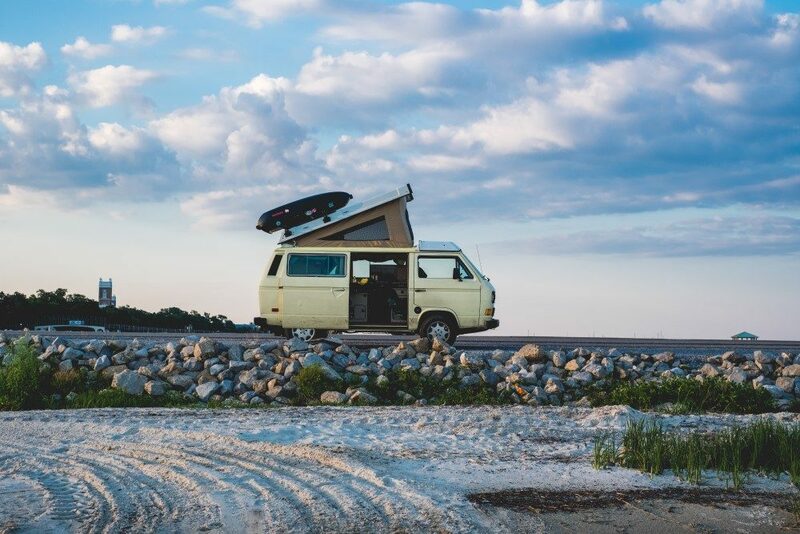 In general, unless you’re looking for a vintage van to convert, you’ll want to go for the newest van possible, with the least amount of miles. Obviously, if it’s a 2015 van for £3k, you might want to look into that a little more as there’s probably a reason why it’s going for such a cheap price, so use your brain! This was something that was really important to me, but not so much to Shane. I REALLY wanted air-con in the cab. Knowing that we’d be using it a lot during the summer months with potential trips to Europe, we knew it’d get hot in there. I don’t like driving with the windows open as I have an irrational fear of bugs (especially the stingy types), so I like to have my windows firmly closed. Shane couldn’t care less about air-con so it’s something that we had to compromise on. Funny story – while we were in Europe, we had a hornet fly through the open window and land on Shane’s leg in a bit of a daze. I was screaming and instinct told me to get out of the van asap. So there’s me screaming my head off, unbuckling my seatbelt and preparing to jump out of the van doing 50mph. Shane pulled over just in time and we got it out, but I was shaking for a good hour or so after. 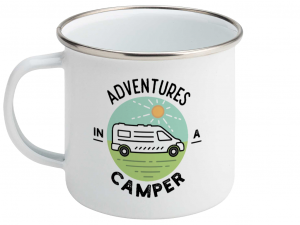 So anyway, things like electric windows, cup holders and air-con are all things that you might want to think about when looking for your perfect van. And some things you might just have to compromise on (though you can guarantee that everytime a bug flies in the window, Shane gets that tiny-reminder of my request of aircon haha). So, I hope that’s helped you narrow down your decision as to what type of van you’re after. 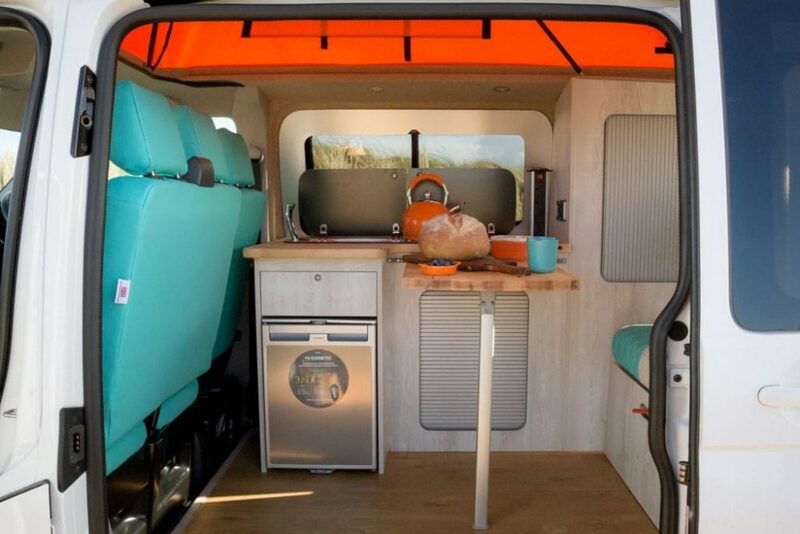 Obviously, there’s the whole vintage campervan thing which in terms of DVLA classification – they’re already classified as a ‘Motor Caravan’ so you can rip out the entire interior and arrange it how you like without having to worry about if it’ll meet the rules e.g. a 6ft bed etc. But then there’s the upkeep of an older vehicle over a newer vehicle and the cost to weigh up. 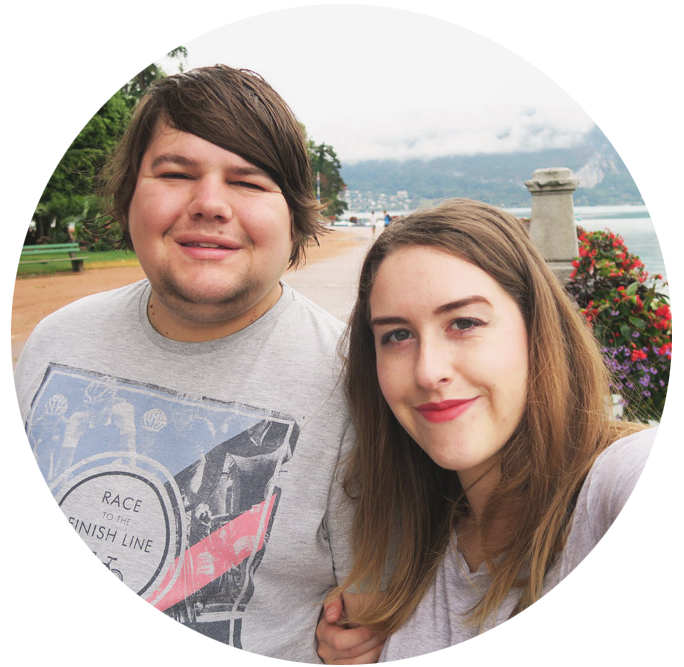 But I hope this has helped you to choose what type of van is right for you! Any suggestions you want us to add in? 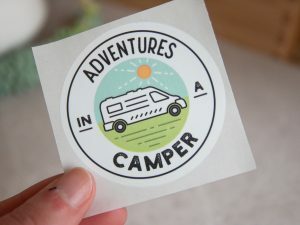 Don’t forget to follow us on instagram @adventuresinacamper for daily updates!